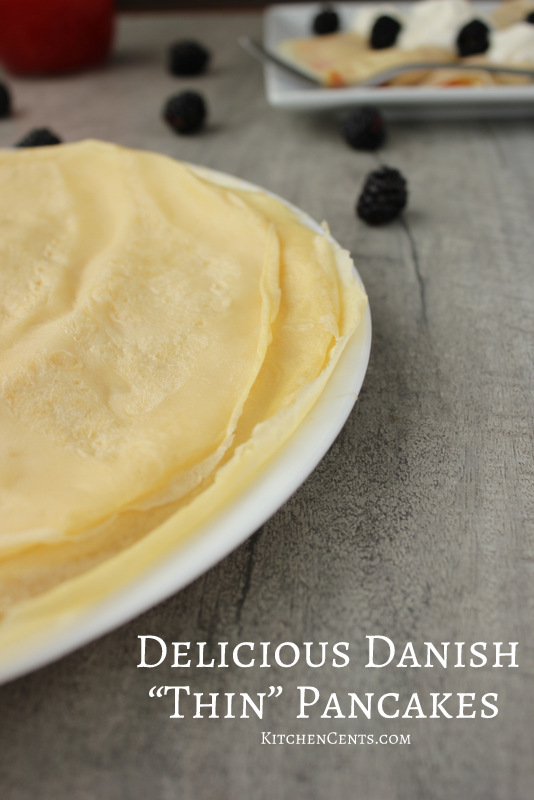 Making fancy crepes is easy with this delicious classic crepes recipe. Whether you are going for sweet or savory, this classic crepes recipe is a winner. In lieu of Memorial Day coming up, I thought it would be appropriate to share a family favorite recipe passed along by my Grandma “J.” Every time I pull out the family cookbook filled with her families favorite recipes, I can’t help but think of her and the time I was able to spend with her before she passed away several years ago. She was one of the best bakers and cooks I knew. So many of my favorite recipes I make for my family have come from her, such as her Sweet Baked Fluffy Omelets or delicious Refridgerator Bran Muffins. This recipe is a family favorite. Legit! It’s so easy to make, we enjoy a batch at least every other week if not once a week. My girls gobble them up like they are candy. That’s probably because we like them sweet, covered in syrup or jam, for breakfast. 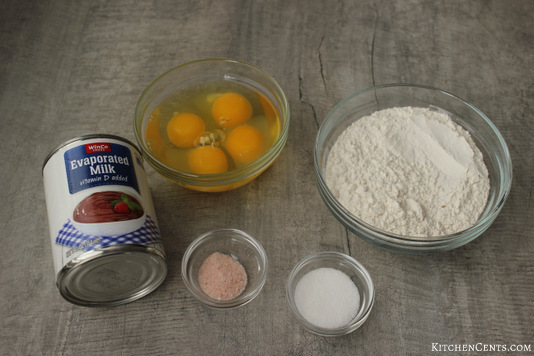 One of the reasons I love this recipe so much is that it’s made with evaporated milk. Don’t get that confused with sweetened condensed milk. They are both canned and made with milk but very different things. 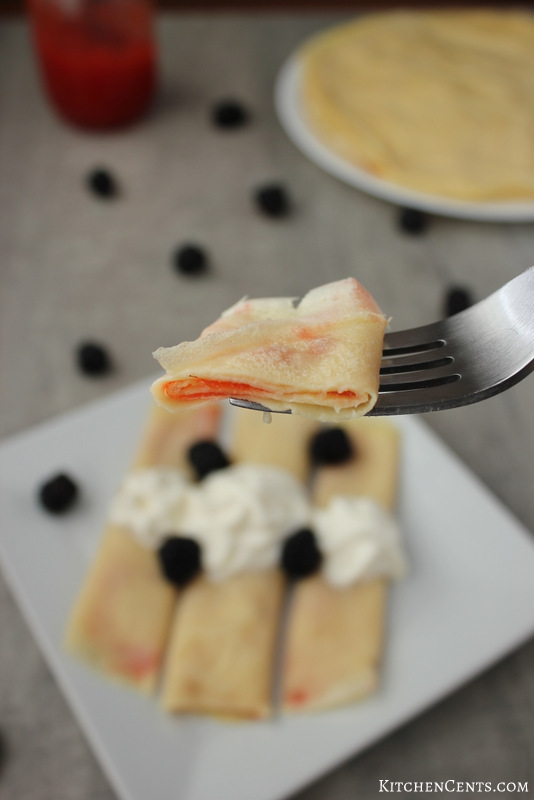 The evaporated milk gives these crepes a creamy, rich flavor that complements a sweet or savory filling. Here are all the ingredients I use, minus the water. 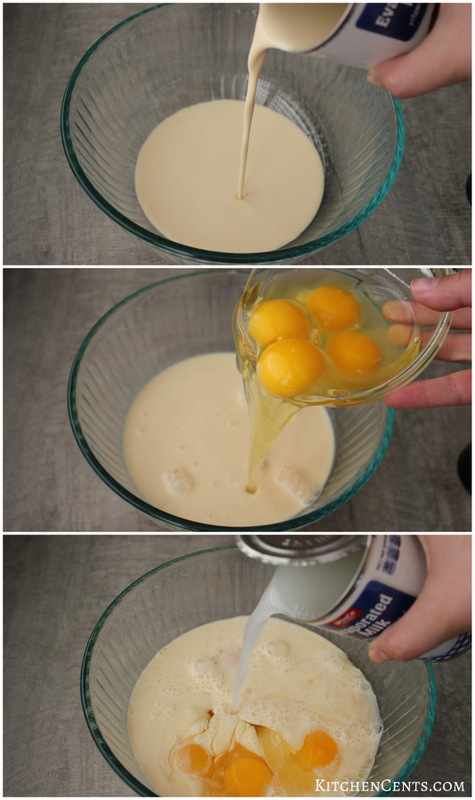 To start, I whisk the evaporated milk, water, and eggs together. Then I add the flour, salt, and sugar. On most mornings I just use a hand whisk because I’m too lazy to find the electric mixer beaters. 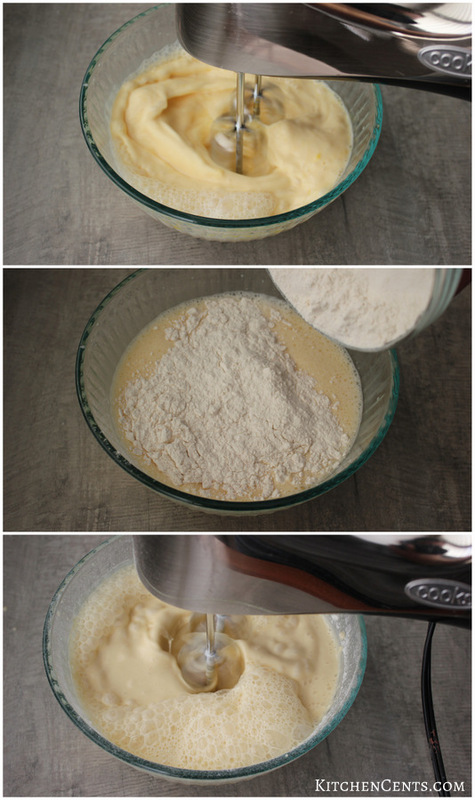 If you are like me or want to save time (and your arm workout) use an electric hand mixer. I mix the ingredients until all the flour clumps are gone. It can take a minute, longer if you are whisking it by hand. 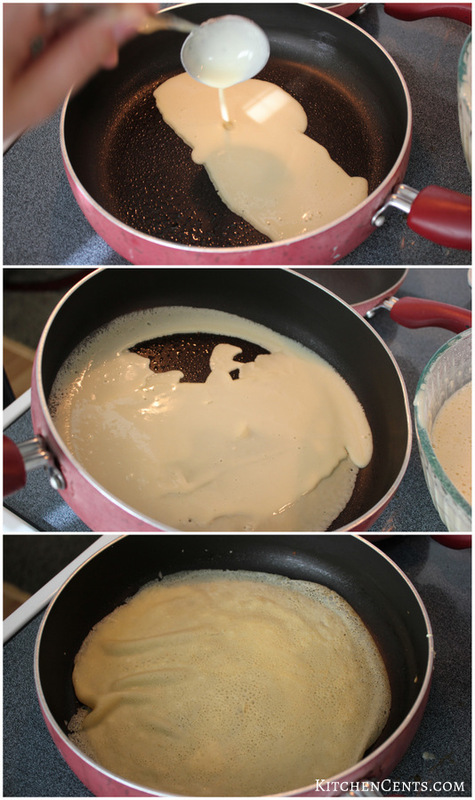 I use a 10-inch nonstick skillet to cook these crepes. My mom, grandma, and sister use(d) a cast iron flat skillet (like this one). I have yet to invest in a 10-inch one but hopefully soon. 😉 Once the batter is mixed, I pour about a 1/4 cup into my greased (buttered or sprayed with cooking spray) skillet. The second the batter is in the pan I roll the skillet in a circular manner to evenly spread the batter out over the bottom. The quicker you can do this, the more even the crepe will be. Once spread, I cook over low-medium heat for 45 seconds to 1 minute then carefully flip it to the other side. I cook an additional 20-30 seconds until the crepe is cooked through. I prefer my crepes to be cooked very light. My brothers like them on the darker brown side. You can cook them to your preferred doneness by lengthening or shortening your cook time. Our favorite way to enjoy these “thin” pancakes are with a swirl of syrup or spoon full of jam in the middle, then rolled up like the picture below. If we are “filling” like an extra special touch, we love to throw in some whipped cream. Yum! Sweet or savory crepes? What’s your favorite filling? If you like this recipe, you make also like this Sweet Baked Fluffy Omelet or these 3-Ingredient Strawberry Cream Cheese Croissants.